History of Asian Americans: Exploring Diverse Roots. Greenwood. co-edited with Yuk Wah Chan and David Haines. 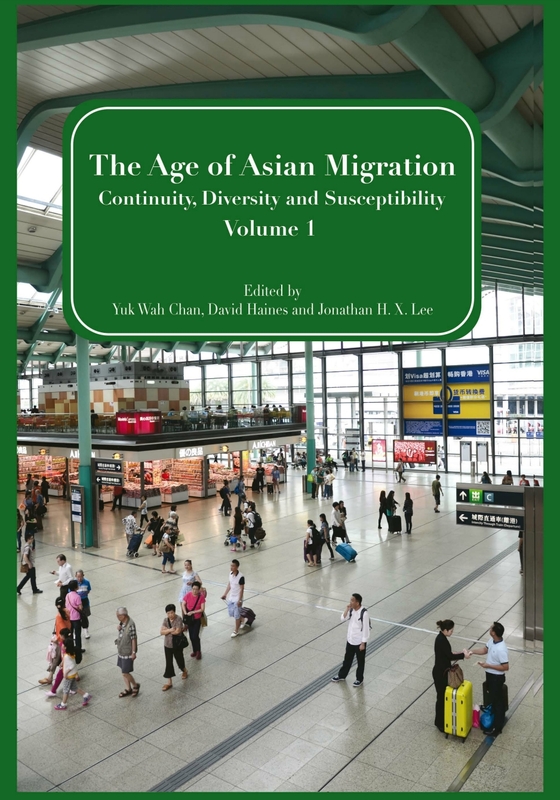 Age of Asian Migration: Continuity, Diversity, and Susceptibility, Volume 1. Newcastle: Cambridge Scholars Publishing. "Singing Our Lives with His Words: R.J. Sin, Cambodian American Musician Strumming History, Pain, and Subjectivity. In Yuk Wah Chan, David Haines, and Jonathan H.X. Lee, eds., Age of Asian Migration: Continuity, Diversity, and Susceptibility, Volume 1. Newcastle: Cambridge Scholars Publishing. 256-267. "Introduction: Cambodian, Lao, and Hmong Diaspora in the United States." In Yuk Wah Chan, David Haines, and Jonathan H.X. Lee, eds., Age of Asian Migration: Continuity, Diversity, and Susceptibility, Volume 1. Newcastle: Cambridge Scholars Publishing. 244-255. Guest editor, American Academy of Religion, Spotlight on Teaching, Teaching Asian American Religions and Religiosities. May 2014. "Teaching Asian American Religions and Religiosities: Guest Editor's Introduction"
co-edited with Kathleen M. Nadeau. Asian American Identities and Practices: Folkloric Expressions in Everyday Life. Lanham: Lexington Books, Rowman & Littlefield, 2014.
with Kathleen M. Nadeau. "Introduction: Disciplines and Discourses in Asian American Folklore and Folklife: Prospects, Patterns, Practices, and Problems in an Emerging Landscape." In Asian American Identities and Practices: Folkloric Expressions in Everyday Life, edited by Jonathan H. X. Lee and Kathleen M. Nadeau. Lanham: Lexington Books, Rowman & Littlefield, 2014.ix-xxi. with Vivian-Lee Nyitray. "Things Matter: Chinese American Culture Work and the Gods of Marysville. In Asian American Identities and Practices: Folkloric Expressions in Everyday Life, edited by Jonathan H. X. Lee and Kathleen M. Nadeau. Lanham: Lexington Books, Rowman & Littlefield, 2014. 69-81.
with Mark Sabas Leo. "Igorot American Folk Dance: Performance, Identity, and the Paradox of Decolonization." In Asian American Identities and Practices: Folkloric Expressions in Everyday Life, edited by Jonathan H. X. Lee and Kathleen M. Nadeau. Lanham: Lexington Books, Rowman & Littlefield, 2014. 147-166. "Guangong: The Chinese God of War and Literature in America: From Celestial Stranger to Common Culture (1850-2011 CE)." In Asian American Identities and Practices: Folkloric Expressions in Everyday Life, edited by Jonathan H. X. Lee and Kathleen M. Nadeau. Lanham: Lexington Books, Rowman & Littlefield, 2014. 167-184.
with Kathleen M. Nadeau. “Asian American Folklore: Disciplinary Fissions and Fusions.” Asian American Folklore: Passages and Practices. Spec. issue of Amerasia Journal 39.2 (2013): ix-xxii. “The Global and Civil Dimensions of Tzu Chi Compassion Society’s Peace Work in America.” Living in Peace: Insights from Buddhism. Ed. Chanju Mun and Ronald S. Green. Honolulu: Blue Pine. 143-157.
with Mary Thi Pham. “Pedagogy for Healing and Justice through Cambodian American Literature.” Worldly Teaching: Critical Pedagogy and Global Literature. Ed. Masood Ashraf Raja and Hillary Stringer. New York: Palgrave MacMillan. 97-112. “Taiwanese and Taiwanese Americans, 1940-Present.” Immigrants in American History: Arrival, Adaptation, and Integration. Ed. Elliott Robert Barkan. Santa Barbara, CA: ABC-CLIO, 2013. 1331-1340. “Tzu Chi Compassion Society’s Peace Work in America.” Journal of International Association of Buddhist Universities 3.1.
with Mario Poceski. “Buddhist Compassion Relief Tzu Chi Foundation.” Encyclopedia of Global Religion. 162-163. “Killing Fields (Cambodia).” Encyclopedia of Global Religion. Ed. Mark Juergensmeyer and Wade Clark Roof. Thousand Oaks, CA: Sage Publications, Inc. 664-665.
with The Center for Lao Studies. Laotians in the San Francisco Bay Area. Mount Pleasant, SC: Arcadia Publishing. “‘Singing Our Lives with His Words’: R.J. Sin, kambodschanisch-amerikanische Musiker der Geschichte und Gegenwart verknüpft [Cambodian American Musician Strumming History, Pain, and Subjectivity].” Südostasien [Southeast Asia] (Apr. 2012): 12-14.
with Vivian-Lee Nyitray. “Things Matter: Chinese American Culture Work and the Gods of Marysville.” Chinese America: History and Perspectives. “Venerable Master Cheng-Yen.” Encyclopedia of Global Religion. 1348-1349. “Contesting Hindu Material and Visual Cultures, Forging Hindu American Identity and Subjectivity,” in Nidan: International Journal for the Study of Hinduism. Theme: Hinduism and Materiality. Durban, South Africa, University of KwaZulu-Natal, Volume 23 (December 2011), pp. 73-84. “Avalokitesvara and Compassion: Faith and Practice for Harmonious Living beyond Asian/Asian American Communities.” Buddhist Virtues in Socio-Economic Development. Chomthong, Bangkok, Thailand: Mahachulalongkornrajavidyalaya University. 286-303. “Chinese Immigrants.” Multicultural America: An Encyclopedia of the Newest Americans. Ed. Ronald H. Bayor. Santa Barbara, CA: Greenwood-ABC-CLIO. 277-352.
co-edited with Rogert Viet Chung. Contemporary Issues in Southeast Asian American Studies. San Diego, CA: Cognella Academic Publishing. with Mary Pham. “Creating Peace through Cambodian American Literature.” Peace Review: A Journal of Social Justice 23.4 (Oct.-Dec. 2011): 498-505.
co-edited with Kathleen Nadeau. Encyclopedia of Asian American Folklore and Folklife. 3 vols. Santa Barbara, CA: ABC-CLIO. “Asian Buddhist American: The Jataka Tales,” vol. 3, 1221-1223. “Bok Kai Temple and Parade,” vol. 1, 231-233. “Cambodian Americans: Dying and Death Rituals,” vol. 1, 191-193. “Cambodian Americans: Kaundinya and Soma,” vol. 3, 1223. “Cambodian Americans: Religion,” vol. 1, 209-213. “Cambodian Americans: Urban Legends,” vol. 1, 217-219. “Chinese Americans: Arts and Crafts,” vol. 1, 230-231. “Chinese Americans: Children's Folk Songs,” vol. 1, 233-234. “Chinese Americans: Heros and Heroines,” vol. 1, 282-283. “Chinese Americans: Proverbs and Maxims,” vol. 1, 304-305. “Hawaii Sugar Plantation,” co-authored with Noriko Sanefuji, vol. 2, 601-602. “Hmong Americans: Clothes and Jewelry,” vol. 2, 424-425. “Hmong Americans: Family and Community,” vol. 2, 427-428. “Hindu Temples in America,” co-authored with Geetha A. Mandayam and Patit Paban Mishra, vol. 2, 479-482. “Introduction: Asian American Folklore and Folklife,” co-authored with Kathleen Nadeau, vol. 1, xxxv-xl. “Jain Temples,” vol. 2, 487-488. “Laotian Americans: Arts, Crafts, and Home Decoration,” vol. 2, 719-720. “Laotian Americans: Domestic Religious Practices,” vol. 2, 723-724. “Laotian Americans: Family and Community,” co-authored with Nasy Inthisone Pfanner, vol. 2, 727-729. “Laotian Americans: Festivals and Holidays,” vol. 2, 729-730. “Laotian Americans: Folk Dance and Performance,” vol. 2, 730-732. “Laotian Americans: Foods and Foodways,” co-authored with Nasy Inthisone Pfanner, vol. 2, 732-734. “Laotian Americans: History, People, and Culture,” vol. 2, 713-717. “Laotian Americans: Narrative Folklore,” vol. 2, 744-745. “Laotian Americans: Proverbs and Maxims,” vol. 2, 746-747. “Laotian Americans: Religion,” vol. 2, 747-752. “Laotian Americans: Social Etiquette and Customs,” vol. 2, 754-755. “Laotian Americans: Traditional Medicine and Healing,” vol. 2, 755-756. “Laotian Americans: Vernacular Language, Speech, and Manner,” vol. 2, 757-758. “Lotus Flower,” vol. 1, 68-69. “Paper Sons/Paper Daughters,” vol. 1, 303-304. “Punjabi Americans: Arts, Crafts, and Home Decorations,” co-authored with K. N. Sethi, vol. 3, 1005-1006. “Punjabi Americans: Dying and Death Rituals,” co-authored with Patit Paban Mishra, vol. 3, 1008-1010. “Punjabi Americans: Family and Community,” co-authored with Patit Paban Mishra, vol. 3, 1010-1012. “Punjabi Americans: Foods and Foodways,” co-authored with Patit Paban Mishra, vol. 3, 1014-1015. “Punjabi Americans: Home Decoration,” co-authored with Patit Paban Mishra, vol. 3, 1020-1021. “Punjabi Americans: Names and Name Giving,” co-authored with Patit Paban Mishra, vol. 3, 1024-1026. “Punjabi Americans: Proverbs and Maxims,” co-authored with Patit Paban Mishra, vol. 3, 1026-1028. “Punjabi Americans: Rites of Passage,” co-authored with Patit Paban Mishra, vol. 3, 1030-1033. “Root Quest,” vol. 1, 76-77. “Taiwanese American Religious Temples,” Vol. 1, 313-316. “Thai Americans: Traditional Medicine and Healing,” vol. 3, 1122. “Vietnamese Americans: Religion,” vol. 3, 1204-1206.
with Roger Viet Chung. 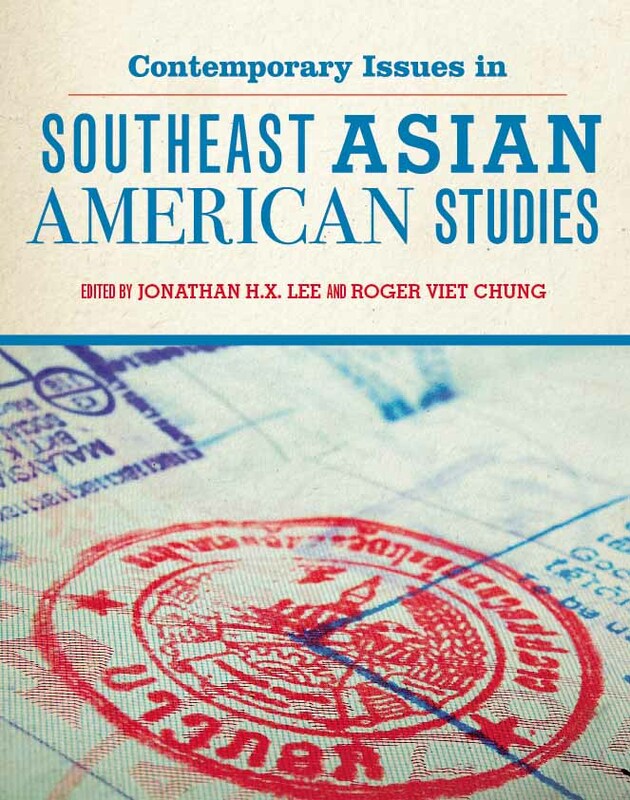 “Introduction: Who Are Southeast Asian Americans?” Contemporary Issues in Southeast Asian American Studies. Ed. Jonathan H. X. Lee and Roger Viet Chung. San Diego, CA: Cognella Academic Publishing. 1-4. “Maintaining Patterns: Community Ritual and Pilgrimage in a Diasporic Taiwanese American Religious Community.” Asia Pacific: Perspectives 10.1 (Apr. 2011): 82-102.
with Mark Leo. "Performing Thai and Indigenous Igorot American Folklore and Identities: Ethnic and Cultural Politics Revealed." Positioning Southeast Asia in the Globalized World. Comp. Mohammad Raduan Mohd Ariff, Hanafi Hussin, Rodney C. Jubilado, Lowell S. Bautista, and Christine Yun May Yong. Proc. of the 4th International Conference on Southeast Asia. Kuala Lumpur, Malaysia: Department of Southeast Asian Studies, U of Malaya, 2011. 383-396. “Bring Strangers Together: Chinese/Chinese American Engaged Buddhism, Race and Inter-Ethnic Relations in America.” Global Recovery: The Buddhist Perspective. Chomthong, Bangkok, Thailand: Mahachulalongkornrajavidyalaya University. 460-474. “Cambodian American Ethics of Identity Formation.” Cambodian American Experiences: Histories, Communities, Cultures, and Identities. Ed. Jonathan H. X. Lee. Dubuque, IA: Kendall and Hunt Publishing Company. 343-353. Cambodian American Experiences: Histories, Communities, Cultures, and Identities. Dubuque, IA: Kendall and Hunt Publishing Company. Cambodian American Experiences: Histories, Communities, Cultures, and Identities – Study Guide. Dubuque, IA: Kendall and Hunt Publishing Company. “Cambodian Americans and Religion.” Asian American History and Culture: An Encyclopedia. Ed. Huping Ling and Allan W. Austin. Armonk: M.E. Sharpe Inc., East River Books. 114-116. “Cambodian/Cambodian American Religions.” Cambodian American Experiences: Histories, Communities, Cultures, and Identities. Ed. Jonathan H. X. Lee. Dubuque, IA: Kendall and Hunt Publishing Company. 418-432. “Chinese Americans and Religion.” Asian American History and Culture: An Encyclopedia. Ed. Huping Ling and Allan W. Austin. Armonk: M.E. Sharpe Inc., East River Books. 223-226. “Daoist Temples in California.” Asian American History and Culture: An Encyclopedia. Ed. Huping Ling and Allan W. Austin. Armonk: M.E. Sharpe Inc., East River Books. 169-170.
with James Ciment, “Hmong Americans and Religion.” Asian American History and Culture: An Encyclopedia. Ed. Huping Ling and Allan W. Austin. Armonk: M.E. Sharpe Inc., East River Books. 511-513. “Introduction.” in Cambodian American Experiences: Histories, Communities, Cultures, and Identities. Ed. Jonathan H. X. Lee. Dubuque, IA: Kendall and Hunt Publishing Company. “Laotian Americans and Religion.” Asian American History and Culture: An Encyclopedia. Ed. Huping Ling and Allan W. Austin. Armonk: M.E. Sharpe Inc., East River Books. 513-514. “An Outline of Cambodian History.” Cambodian American Experiences: Histories, Communities, Cultures, and Identities. Ed. Jonathan H. X. Lee. Dubuque, IA: Kendall and Hunt Publishing Company. 2-16. “Vietnamese Americans and Religion.” Asian American History and Culture: An Encyclopedia. Ed. Huping Ling and Allan W. Austin. Armonk: M.E. Sharpe Inc., East River Books. 589-590. “Creating a Transnational Religious Community: The Empress of Heaven, Goddess of the Sea Tianhou/Mazu, from Beigang, Taiwan to San Francisco U.S.A.” On the Corner of Bliss and Nirvana: Politics, Identity, and Faith in New Migrant Communities. Ed.Lois Ann Lorentzen, Joaquin Jay Gonzalez III, Kevin M. Chun, and Hien Duc Do. Durham< NC: Duke University Press. “Spreading Compassion in America: Chi Tzu U.S.A. and the New Frontier of American Civil Religion.” 《2009年佛學研究論文集 – 人間佛教及參與佛教的模式與展望》 Humanistic and Engaged Buddhism: Patterns and Prospects. Gaoxiong, Taiwan: 團法人佛光山文教基金會/F.G.S. Foundation for Buddhist Culture & Education. 542-558. “Contemporary Chinese-American Religious Life.” Chinese Religions in Contemporary Societies. Ed. James Miller. Santa Barbara, CA: ABC-CLIO. “媽祖與台灣新移民的美國化 Mazu yu Taiwan xinyimin de Meiguohua” [The Americanization of Mazu and Taiwanese New Immigrant American]. 台灣史料研究 Taiwan Historical Materials Studies 25 (July 2005): 114-127. Auburn’s Joss House: Preserving the Past for the Future (The Auburn Chinese Ling Ying Association House). Auburn: Auburn Joss House Museum and Chinese History Center. Hanford’s Taoist Temple and Museum (#12 China Alley): Preserving a Chinese American Treasure. Forward by Vivian-Lee Nyitray. Hanford: Hanford Taoist Temple Preservation Society. “The Introduction of the Mazu Faith and Its Dissemination during the Qing Dynasty.” Trans. from Taiwan Mazu miao yuelan [A Survey of Mazu Temples in Taiwan], by Wang Chien-ch’uan and Li Shih-wei (Taipei: Boyang Wenhua Shiye Youxian Gongsi, 2000) 26-42. Taiwan Literature: English Translation Series, University of California, Santa Barbara’s Forum for the Study of World Literatures in Chinese 14 (Jan. 2004). 129-140. The Temple of Kwan Tai: Celebrating Community and Diversity, Mendocino, CA. Mendocino: Temple of Kwan Tai Inc.
“Teaching Religion and Learning Religion through Material Culture.” Spotlight on Teaching, American Academy of Religion. Spec. issue of Teaching about Material Culture in Religious Studies 18.3 (May 2003). “Daoist Deities and Chinese Popular Religion.” Empty Vessel: The Journal of the Daoist Arts. Fall (2003): pp. 28-33. “Mapping the Chinese and Sino-Southeast Asian Daoist and Buddho-Daoist Temples in Southern California – Teo Chew Association” Center Profile. The Pluralism Project, Committee on the Study of World Religion, Harvard University. “Ancestral Veneration in Vietnamese Spiritualities.” In The Review of Vietnamese Studies On-line Journal 3.1 (2003): 17 pages. “Pilgrimage of the Spirit: Connecting With My Ancestors.” In The Review of Vietnamese Studies On-line Journal 2.1 (2002): 6 pages. Happy Birthday Mazu—Empress of Heaven, Goddess of the Sea. East Meets West Education Film Production. Documentary film.